If you wear them, you will know that glasses come in surprisingly standard sizes. Unless you've a pinhead or a moon face, you'll probably have never really had to think about how well your specs fit. 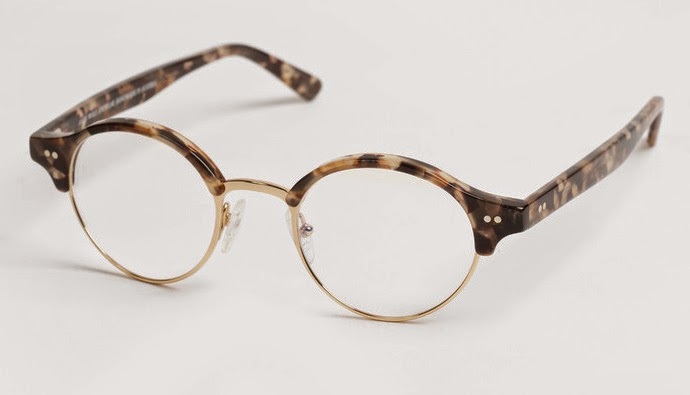 A good optician will attempt to make sure your glasses fit properly, making sure the numbers (usually starting with 50-something) on the inside of your frame at least nominally reflect the dimensions of your head. Then they may position the nose pads, or heat the acetate temples to make them more comfortable on your head. There are a few bespoke eyewear lines like TD Tom Davies, Indivijual, and Smith & Norbu, where the glasses are tailored to your face, but this process sometimes can take weeks before your glasses are finished. 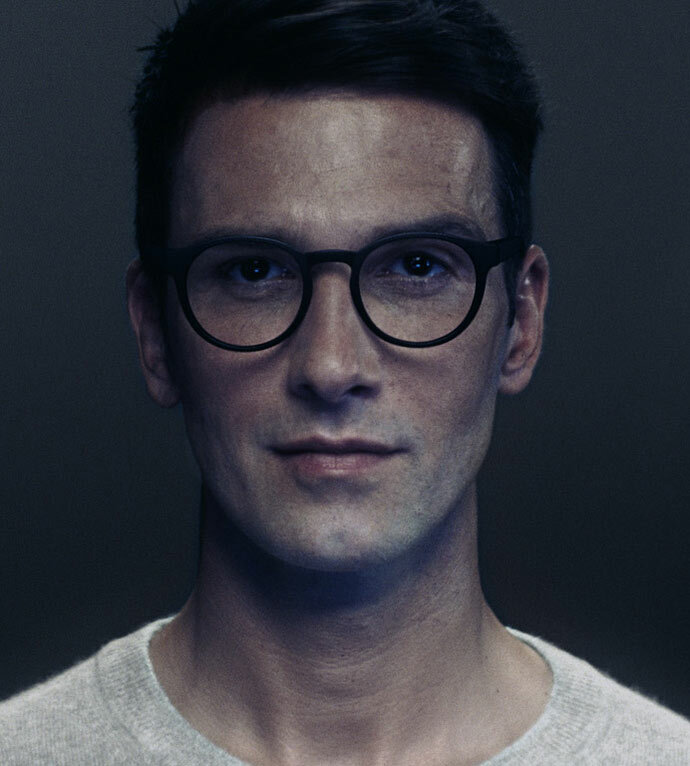 German glasses innovator Mykita has now entered the fold with its MVO line – My Very Own, its digitally tailored frames. MVO integrates three digital technologies: 3D scanning, parametric design (a process based on algorithms in which a frame design is adapted depending on fitting data) and 3D printing, as used in Mykita's Mylon range. 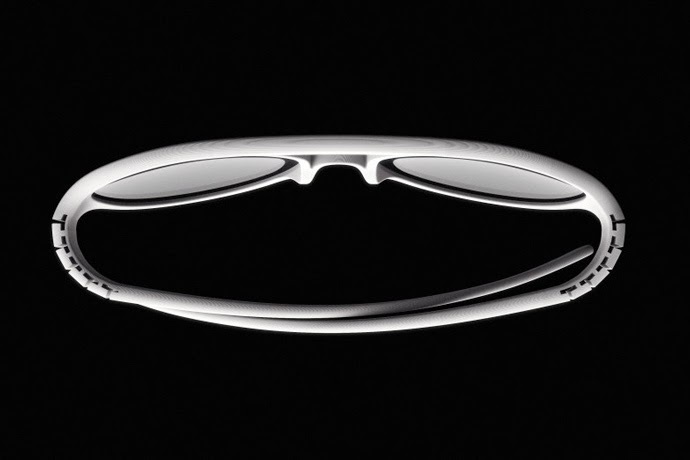 These combine to create glasses where design and fit are specific to the topography of each face. 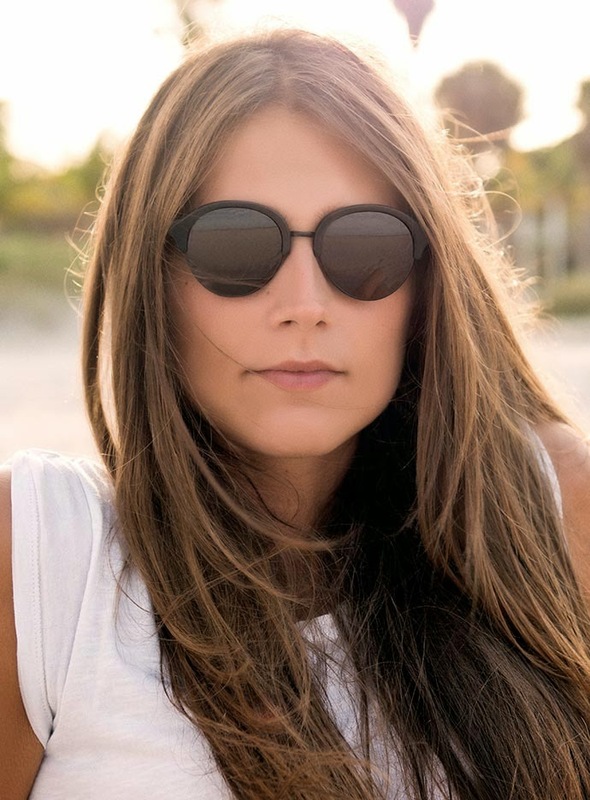 The customer begins by selecting an eyewear shape from the MVO collection featuring exclusive sunglass and prescription frames.The face is scanned and the frame is digitally adjusted to the facial contours. 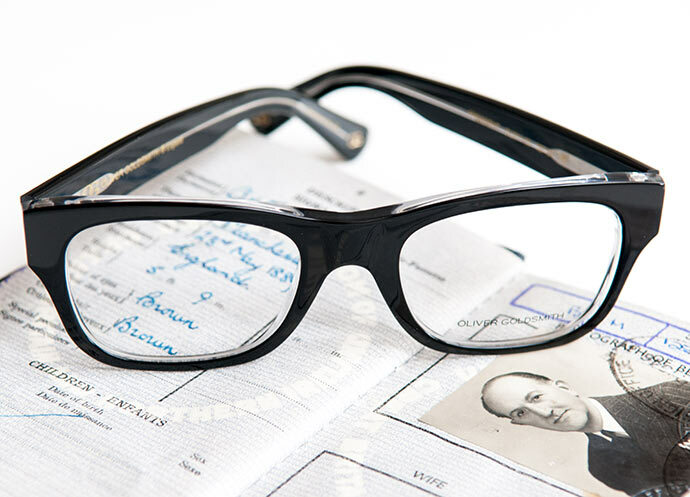 The colour of the frame, lenses and hinges are then selected for a truly individual pair of glasses. 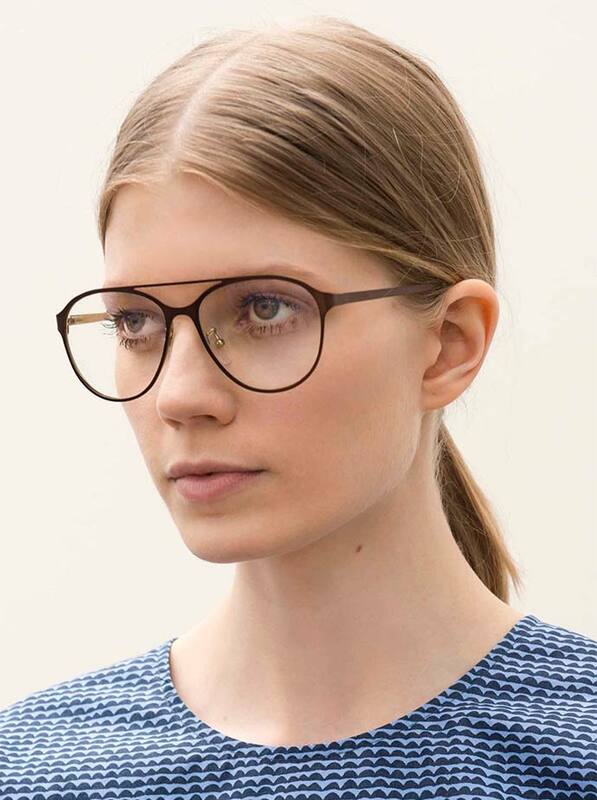 In collaboration with 3D scanning specialists Volumental, the Mykita fitting process also integrates the wearer’s lens centres to create a frame perfectly tailored to the face with lenses precisely positioned in front of each eye. All the fitting data is then sent to Mykita HQ in Berlin, where the unique glasses are handmade and then dispatched to the customer. My Very Own will be introduced to Mykita shops and selected opticians in spring 2016. Anyone who knows their Scandinavian textiles will know and no doubt love Marrimekko, the Finnish designers known for the perfect prints. Good news if you're after the eyewear as it's just been launched. As you'd expect there are subtle, tasteful shapes (above) and some great colours (left). 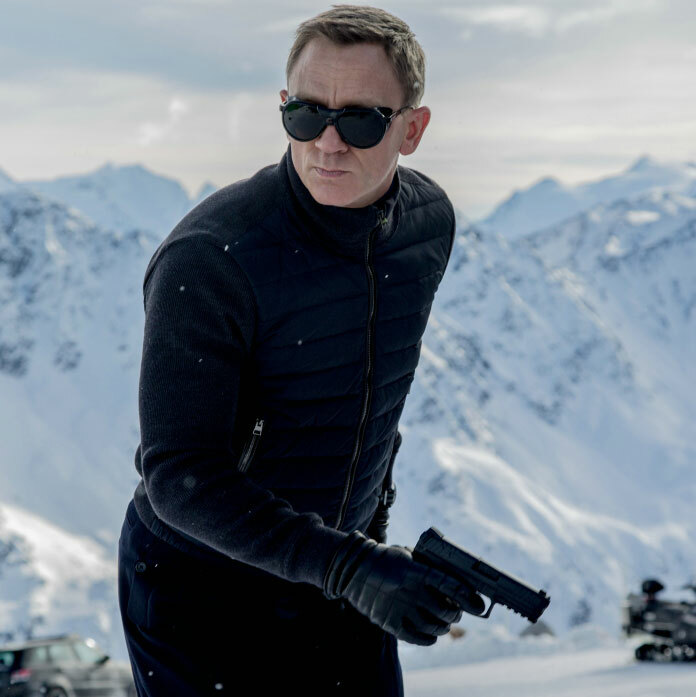 In the latest James Bond movie, Spectre, Daniel Craig sports the rather wonderfully black and leather Glacier sunglasses by French luxury ski eyewear maker Vuarnet. First made in the 1980s, the aviator frame combines an ultra-light metal that subtly surrounds a Mazzucchelli acetate front. Magnetic, removable side shades made from micro-perforated leather protect the eyes and improve vision. 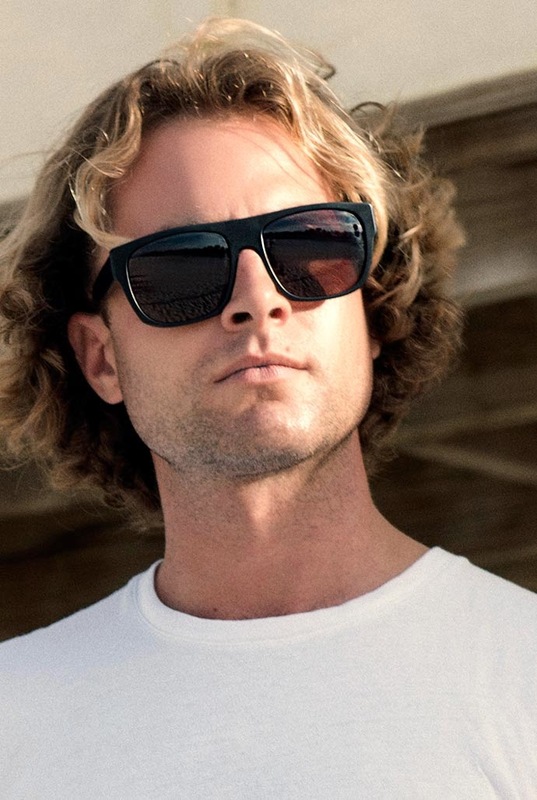 Vuarnet Glacier are available in black matte, with flash gold glass lenses; black matte with silver flash lenses (above), and Savannah with brown flash lenses. The life of an occasional glasses blogger is, of course, an exciting one. And the past few weeks were no different as I headed west to California for my summer break. After a week or two of getting used to the way that most things are bigger and better than back in England, I stumbled across the Fine Arts Optical boutique in the Mission district of San Francisco. It's the first time I've found glasses sold alongside hats - but I like it. And I loved the wide range of lovely frames on offer. Quite literally hundreds and hundreds of them - an amazing collection, many of which is handmade in the US. Maija-Liisa, above, did a great job showing me round, and even retrieved her favourite buffalo horn frames from the special drawer by the desk, namely the Monarch, by Fine Arts itself. Rarely do you see such a light coloured horn. Price: $1200. Well worth a visit! 888 Valencia Street. Thanks for all the positive comments following our sudden return on Friday. We won't go away; just rest our eyes occasionally. 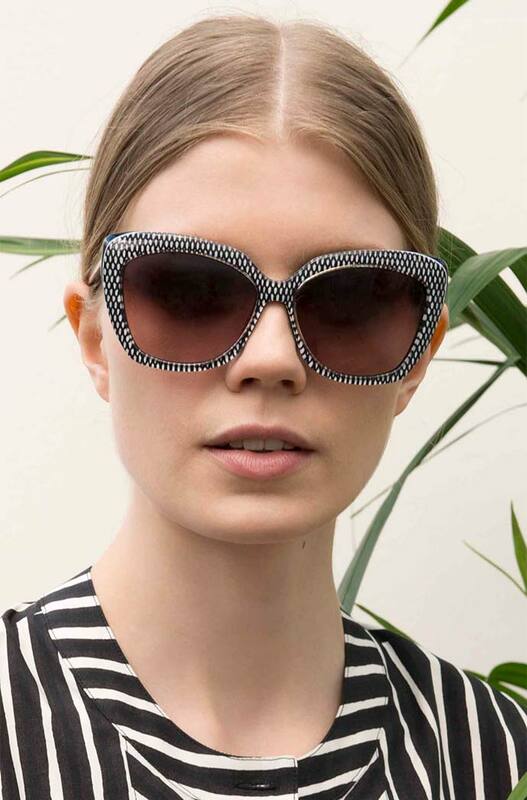 We blog for the joy of specs and here is one of the brands where it all began, Oliver Goldsmith. These are President, reissued from 1964. Cazal has re-issued these three 1990s sunnies in clear crystal actetate. He wears Cazal 656, a style inspired by the legendary Cazal 642, and created in collaboration with New York streetdance artist Dameion “Rhythm Child” Williams. Meanwhile, she wears Cazal 644, originally launched in 1991, while nobody wears the aforementioned Cazal 642 from where one can spot the influence on its cousin the 656. 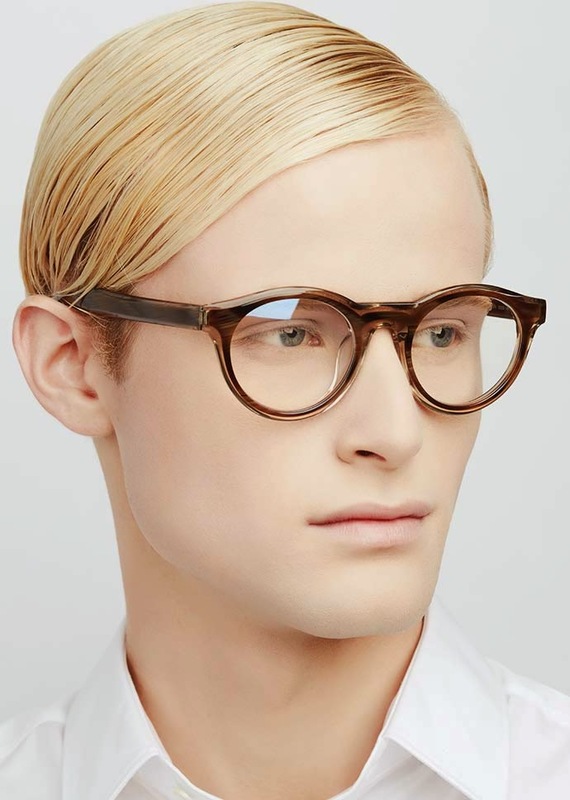 Blake Kuwahara has been designing top-notch specs for the likes of Kata, Carolina Herrera and Coach but last year he launched a glasses collection under his own name, and EWG likes what it sees. 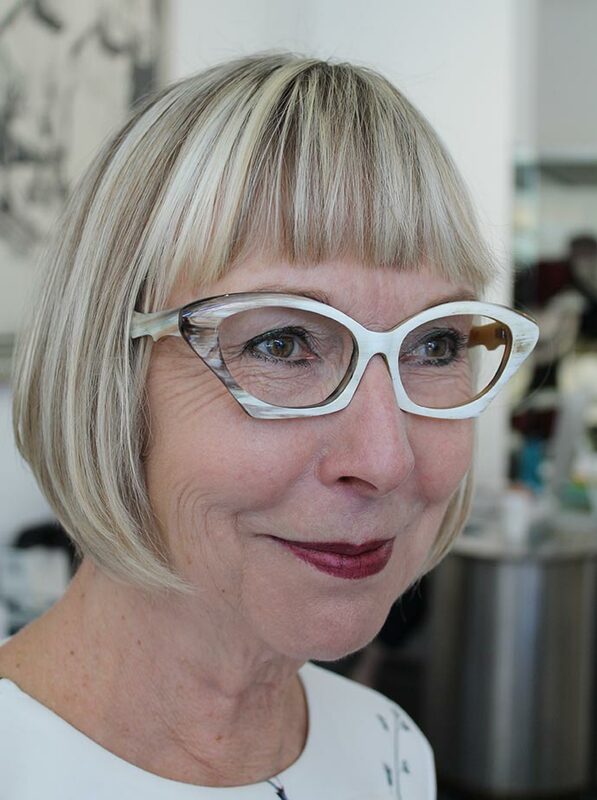 I've previously talked about the contrast between the shape of the outer frame and and the inner frame and it can create dramatic effects on the look of a pair of glasses. What Blake has done is added another dimension by producing frames which appear to have another frame inside, what he calls frame within a frame. Great results as you can see here with Eames (top) and Corbu (above). 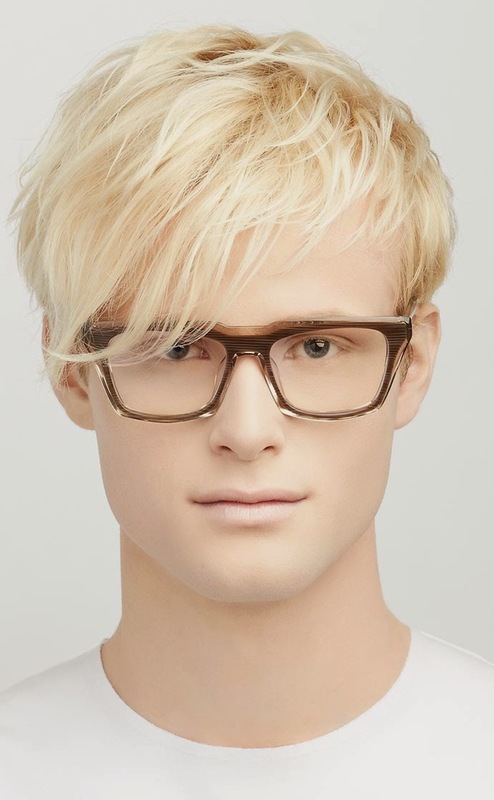 Handmade in Japan and oozing quality, Blake Kuwahara glasses will cost you around the $600 mark. 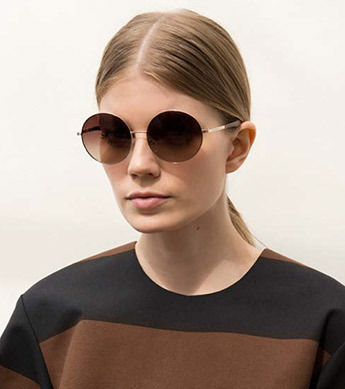 Continuing our #DecentSunnies series, here is L.G.R, an eyewear brand renowned for its perfect acetates and knock-out lens-frame colour combinations. Here, however, I've picked out three black beauties, from the top – Reunion, Tripoli and Lola. Handmade in Italy, Zeiss lenses, say no more. Stocked all over the world. How much should you spend on a decent pair of glasses? Just like with a decent watch, dishwasher or car, a more expensive pair of specs will most likely last longer and fit better. 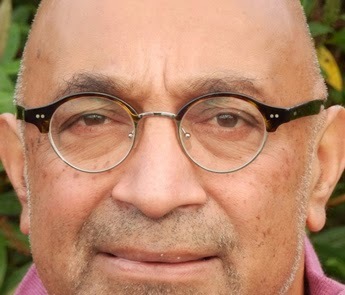 So when my Dad told me about his pal Ash's new Andy Wolf Havana Gold frames, I gave a big thumbs up. They look great and I'm certain they'll last.